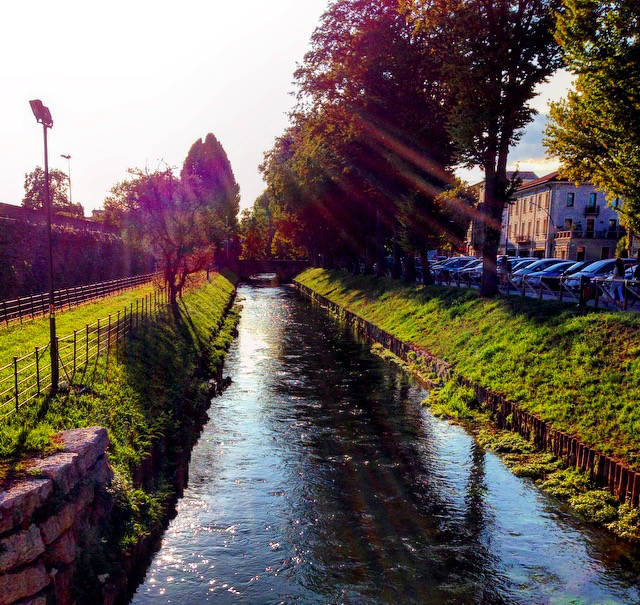 Life in Treviso has changed me and has defined who I truly am. Its safe to say that before Treviso, i didn’t know who the heck I was.. I was also rather lazy when it came to exercise. Why should I walk? Or ride my bicycle, when I can simply take the car. 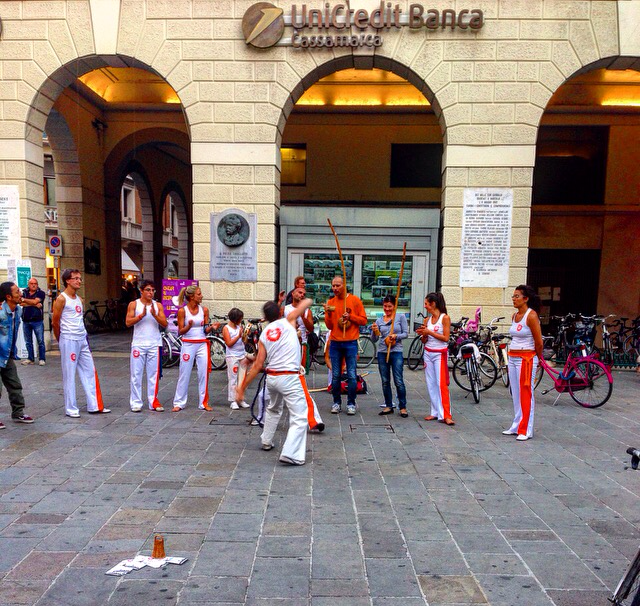 But here in the North of Italy, everyone takes their bicycle or walks everywhere.. A few reasons why? Well, the parking in the city centers aren’t great! And those narrow alleyways, people on foot and oh yes, parking is so darn expensive. A healthy lifestyle is so important to The Italians.. 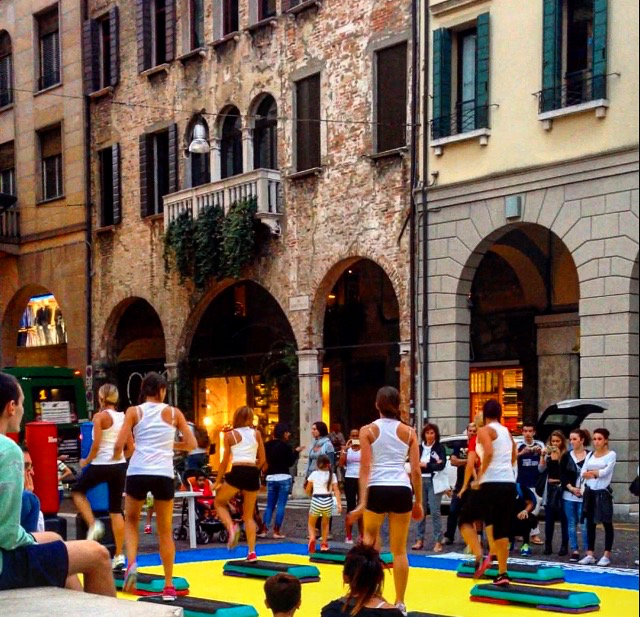 So, when I stumbled across a huge sports expo in the Center of Treviso, I wasn’t too surprised yet was so excited to see what the commotion was all about. 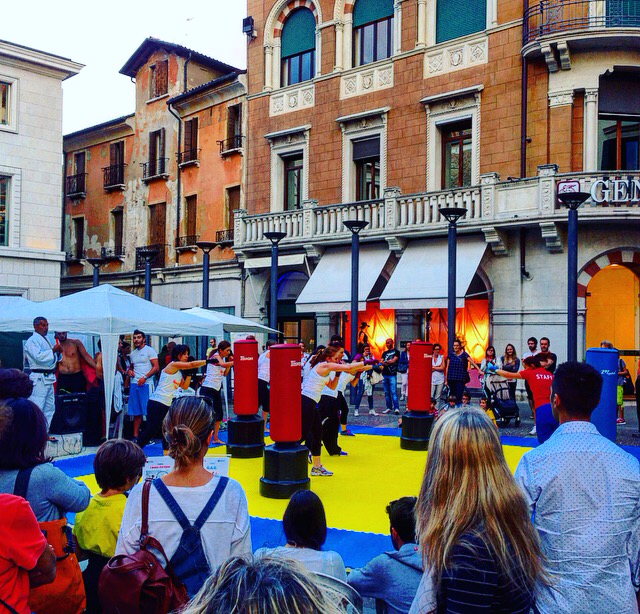 The sports expo is being held in three of the main piazzas in Treviso, Piazza Signori being the main one and runs until Sunday. 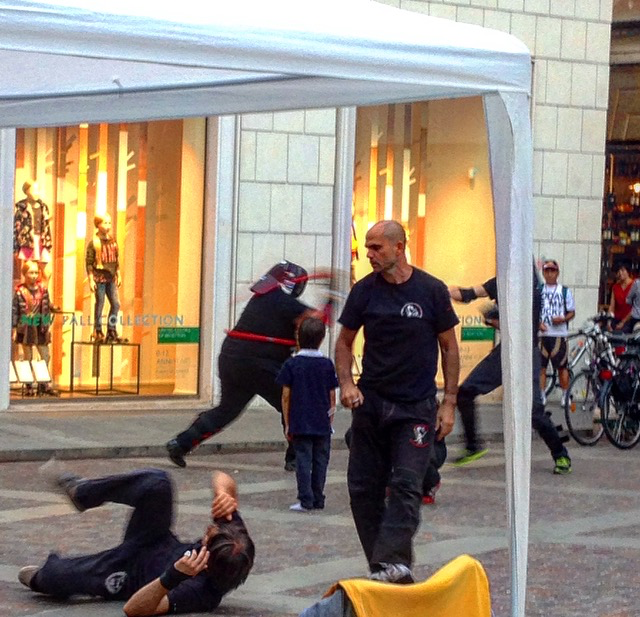 I never knew that there were so many different gyms in Treviso and province offering Judo, Karate, Self defense and other activities. I was blown away.. I enjoyed watching the different trainers or professionals showing off their moves.. and thought Wow, I would love to learn how to self defend myself.. Lets face it, with the way the world is heading, a little self defense might do me some good, plus I could lose a few kilos. But I know that I would also like to find a gym that offers more than that.. 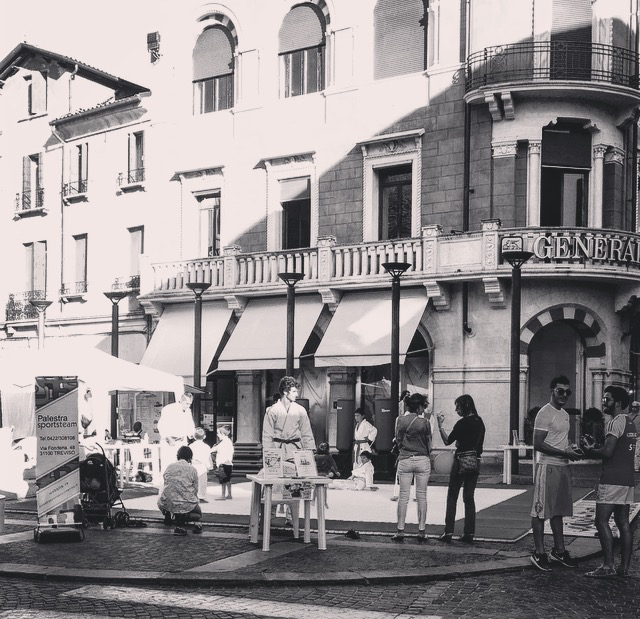 So, this event in Treviso couldn’t have came at a better time. Total wake up call if you ask me.. And one particular gym caught my eye.. More on that gym later.. 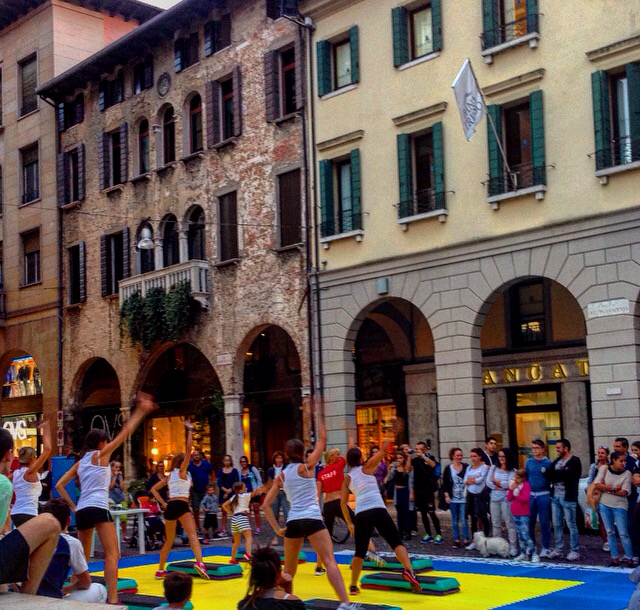 Here are some photos of the Sports expo being held in Treviso. I enjoyed watching this guy!! He seemed pretty bad a**! Wouldn’t mind him teaching me how to self defend myself. Ha! In action.. I am not sure what sport this is.. Pretty sure its some type of Self defense.. I wish I would have got a brochure from him. 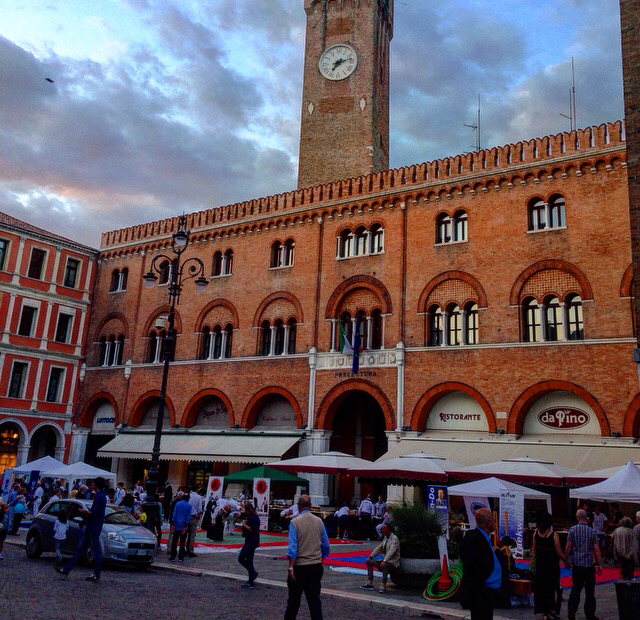 This is Piazza Signori and it’s the main square in Treviso. You can see all the different sports team demonstrating what their gym does..
And here you have Sports Team Gym. I learned that they offer many different activities. And the seemed to be the most popular. Judo and self defense here. 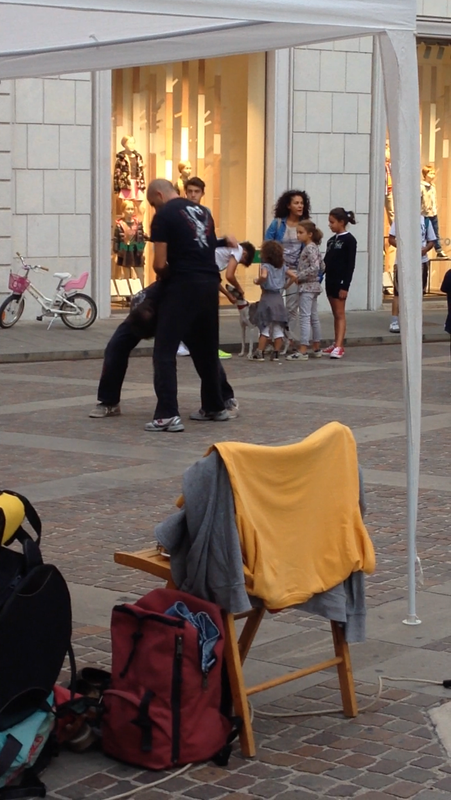 Step aerobics… I loved the little girl doing the exercises too! So cute! She did really well, better than what I could do for sure.. haha! Kickboxing as well. Gotta love the gorgeous surroundings, no? So, now I should probably tell you guys that I’ve decided to get “healthier” and am very interested in taking a self defense class. So, you see I have many choices where I will go.. I’ll be sure to let you know and I may even do a blog or two about an American learning how to self defend herself in Italy from an Italian Master.. By the way, have I mentioned, my Italian is by no means perfect. Another great way for me to improve my Italian! Any of you guys study any form or martial arts? Which one are you partial too? Thanks for sharing! 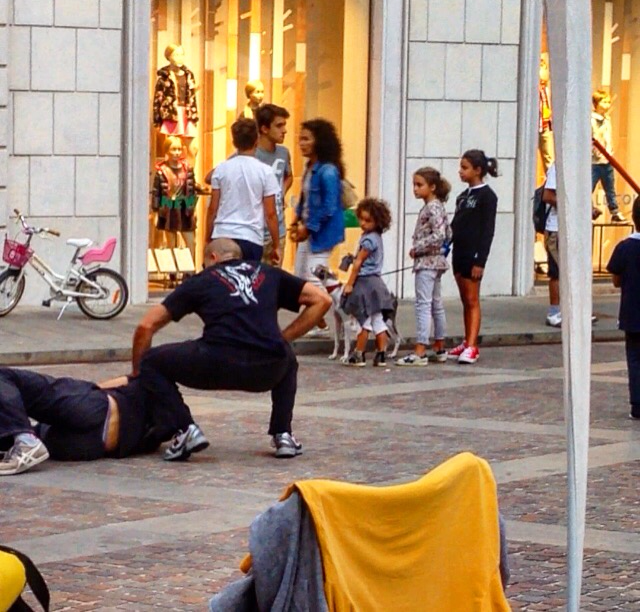 Love seeing life in Italy.